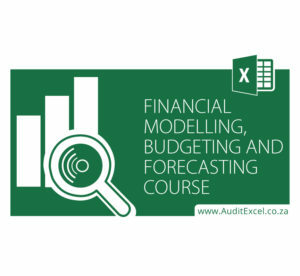 This practical 5 – day Corporate Financial Modeling Training Course combines the Advanced Excel Course with the Financial Modelling, Budgeting and Forecasting course to create a comprehensive Excel for Business course. 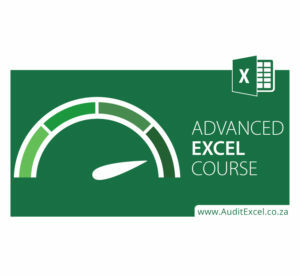 It is suitable for Intermediate and Advanced Excel users, but the best way to check if this is the best MS Excel course in Johannesburg for you is to do the Free MS Excel Skills Assessment first. Onsite- We can provide the training onsite to corporate groups- for more information click the request for information button below. Want to easily see where the numbers change month on month? Let them automatically change colour if the previous cell is a different number to the current cell. Make spreadsheets easier to read by changing cell colours where there is a significant change in data. Nested IF’s a problem. Learn how to create them in the easiest, safest way. See the numbers behind a formula without scrambling through the spreadsheet. No need to pull out your calculator to ‘check’ Excel. Categorise data WITHOUT using complex Nested If’s. (Easily) reconcile lists. What items are missing, what is matching and what appears more than it should? Add up all similar items even if they are not in order. Make a line chart change colour at a significant point e.g. actuals in blue and budget in red. See 2 sheets FROM THE SAME SPREADSHEET side by side for comparisons or for (easily) building your formula. Where should you start building your formula? Which cell should you check if there is an error? Learn how to (easily) summarise monthly information into annual, semi annual, quarterly or any period you want. Let Excel take your historical data and forecast forward, either simply, or including seasonality. Multiple Discount rates in NPV? Model with inflation or without (real vs nominal numbers)? Delegates should be familiar with Microsoft Excel (though not necessarily expert in the use thereof, as any relevant Excel function pertinent to an excercise will be discussed prior to tackling the exercise). We recommend that all delegates should, using our free MS Excel Skills Assessment, have a skill score of >4.5 with a level of Intermediate or above (get your delegates to do the free MS Excel Skills Assessment to make sure this is the correct level of training). This is a very hands-on, non-intimidating, course – delegates work through various exercises under the supervision, and with the help, of the facilitator to get to grips with the nuances of Excel’s functions.